Free killer metal samplers! Thank you Relapse Records. | Badass Concert | Heavy Metal Music News | So METAL, we piss RUST! Home News Free killer metal samplers! Thank you Relapse Records. Free killer metal samplers! Thank you Relapse Records. The holidays are here and it’s the time of snow… and giving! Where there is giving, there is receiving. You have to love FREE METAL SAMPLERS, they’re the gift that keeps on giving. 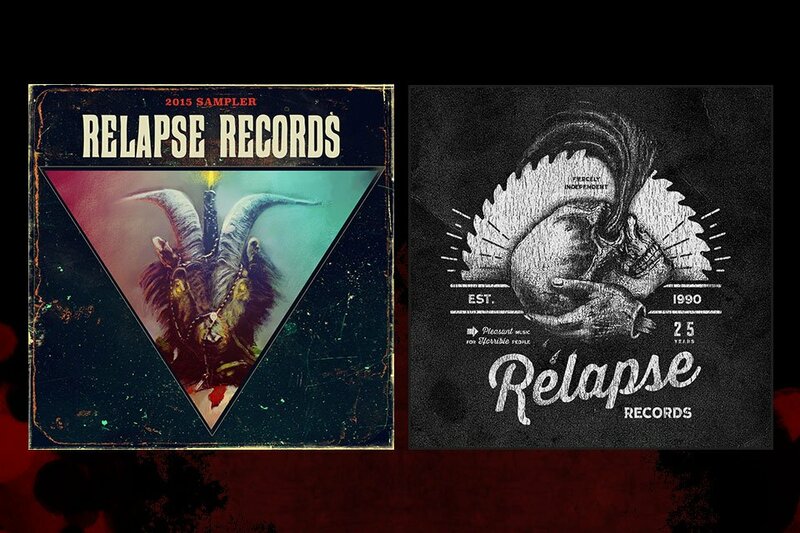 Relapse Records are in a very generous mood. On their sampler bandcamp page, not to be confused with their record company bandcamp, there are five samplers to download and get your metal on. You all have smart phones, make them smarter… fill them up with jams! These samplers contain some killer metal tracks. For starters Iron Reagan’s “Miserable Failure” and “Four More Years” are on there (Divided among the samplers). Those tracks alone is worth gold! Plus you’ll find Brian Posehn’s “Metal By Numbers” on the “25 Years of Contamination” sampler. As a matter of fact that sampler alone contains 194 tracks! You’ll be set for the winter and spring. The list goes on and on, you have… Alabama Thunderpussy, Toxic Holocaust, Death, Dying Fetus, Mastodon, Acid Bath, Red Fang, and tons and tons more. So do yourself and the neighbors a favor, download those tracks and play them at ear piercing volumes. For those of you new to bandcamp, you basically name your price with these samplers. $0 is considered a price. Good luck. Previous articleThrough The Stone Album Release and REVIEW! Next articleBloodRail releases self-titled EP, entitled BloodRail!